A historical building needs windows. Landmark structures need upgrading but window replacement is very restrictive and expensive! Special colors required? 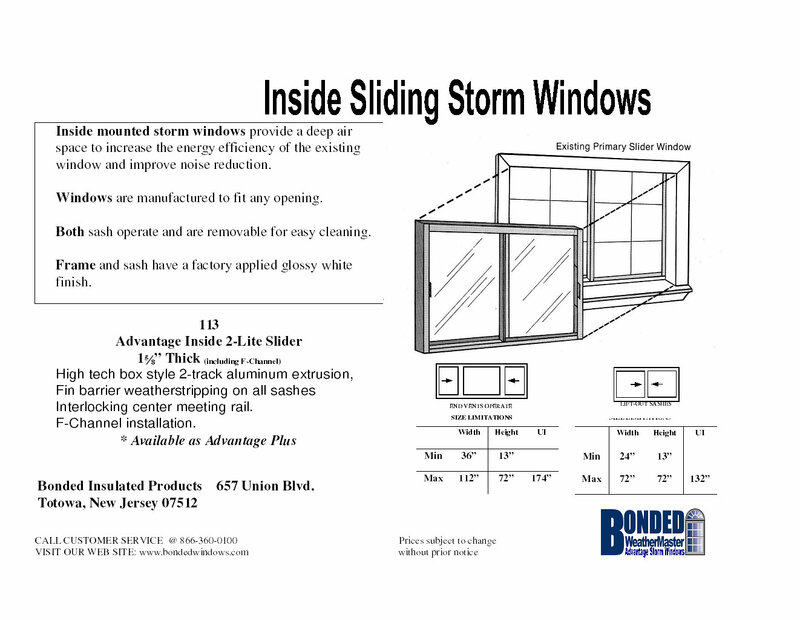 Storm windows for a mobile home? Inside mounted Advantage Model #113 2-track horizontal sliders sliders fit perfectly! Do you have steel or wood casement or awning windows? 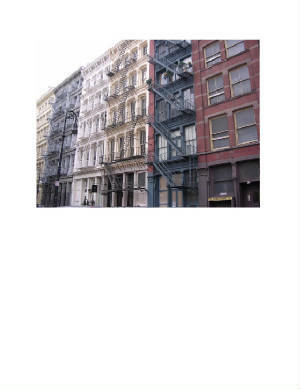 Any window where the exterior cannot be covered for weather protection or aesthetic changes? Choose the Advantage 113 Inside Slider. Mounted securely inside the home or building, no changes are visible to the exterior of the structure. Very tight channel installation assures the best seal against cold and drafts. Low-E, frosted and tempered safety glass are also available to offer even more protection than conventional window glass. All inside slider units are built box style with 1-5/8" thick 2-track white aluminum extrusions. 2 or 3-lite styles are available with mechanically fastened main frames and sashes for dependable performance. Weatherstripped sash frames seal against drafts. Center meeting rails are interlocked and the two sashes lift out for easy cleaning. F-Channel installation assures all inside sliders have a tight fit even in out-of-square openings.